Bhagavad Gita means “Song of the Spirit,” the divine communion of truth-realization between man and his Creator, the teachings of Spirit through the soul, that should be sung unceasingly…. The underlying essential truths of all great world scriptures can find common amity in the infinite wisdom of the Gita’s mere 700 concise verses. 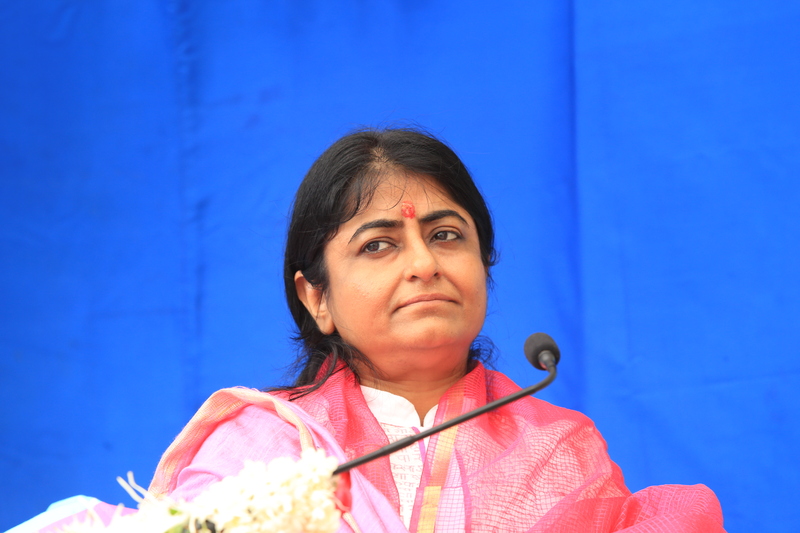 SHRIJI has greatly flourished the knowledge of Bhagvad Gita, through her preachings and initiatives. SHRIJI has bought up every aspect of gita to every sect of society inorder to get Cling and uplift life from miseries of life. 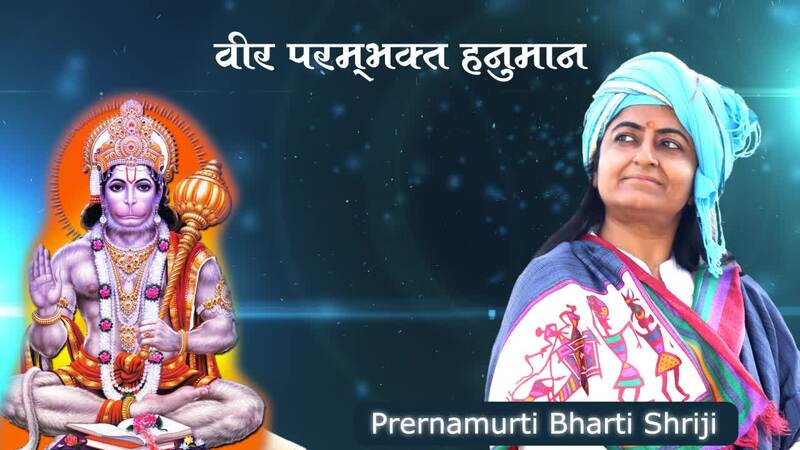 Pujya Shriji states that “As born Human, we should always strive to Awake and aware people about Gita, If our service inspires anyone to do so, our human birth is success.Gita itself reveals that spreading my divine knowledge is endear to me. One should whether small or big, should do service to Gita. Whenever your mind gets dull, intellect starts to get vanished, chanting God name,chanting omkar, connects you directly to the GURU or GOD,which relaxes your mind. You find peace of mind and get relieved. The only resource to JOY is Chanting Gods name and spirituality. Untill and unless man practices chanting of Gods name,mind gets distracted, it gets assigned to disorders. Mind itself gets restive rather than external sources. Intellect itself creates unhappiness rather than external sources. HOW TO PURIFY MIND ? 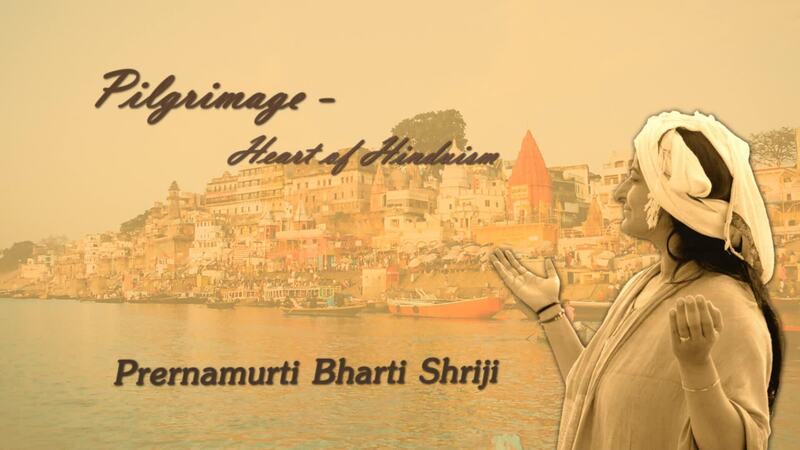 Pilgrimage is the heart of Hinduism.Pilgrimage is a sacred journey. It is a process that is not meant to simply get away from it all, but to allow oneself to encounter, see, and experience the Divine. This is accomplished by associating with holy people, visiting the holy places where the pastimes of the Divine have taken place, and where the sacred temples allow darshhan: the Vision of the Supreme. Darshan is the process of approaching the Deity in the Temple in a state of spiritual communication, open and ready to receive sacred revalations. It means to see the Absolute Reality, and also to be seen by that Supreme Reality, God. Sri Hanumanji is an incarnation of Lord Shiva. Brihaspati (the preceptor of the gods) had an attendant by the name of Punjikasthala who was cursed to assume the body of a female monkey. 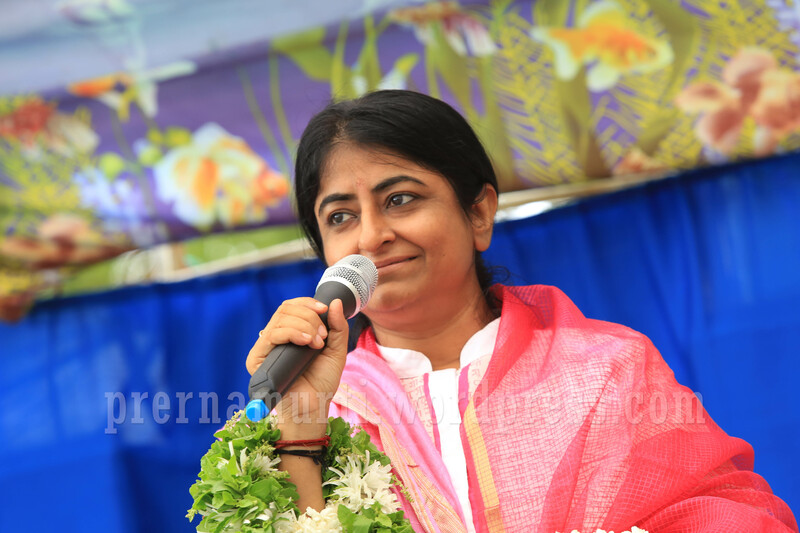 The curse was to be removed on her giving birth to an incarnation of Lord Siva. Accordingly, she was born as Anjana and, together with her husband Kesari (so named on account of his being as brave as a lion), lived a life of chastity and purity. She performed intense Tapasya (austerities) for a great many years, during which period she worshipped Lord Siva who being pleased with her granted her a boon. She asked that He (Lord Siva) be born to her so that she may be freed from the curse.